Tigers are going through a critical time. The global population has declined dramatically, and today there are less than four thousand specimens distributed in isolated parts of the Asian continent where centuries ago they populated extensive areas. According to the Red List of the International Union for the Conservation of Nature (IUCN), the species Panthera tigris is endangered (EN), but some of its subspecies have another status. These cats are highly vulnerable to numerous threats in their natural habitat. From poaching to climate change and a set of factors in the middle, heading the list those that result from human activities. The latest census indicates a population with less than 4,000 specimens in the wild. 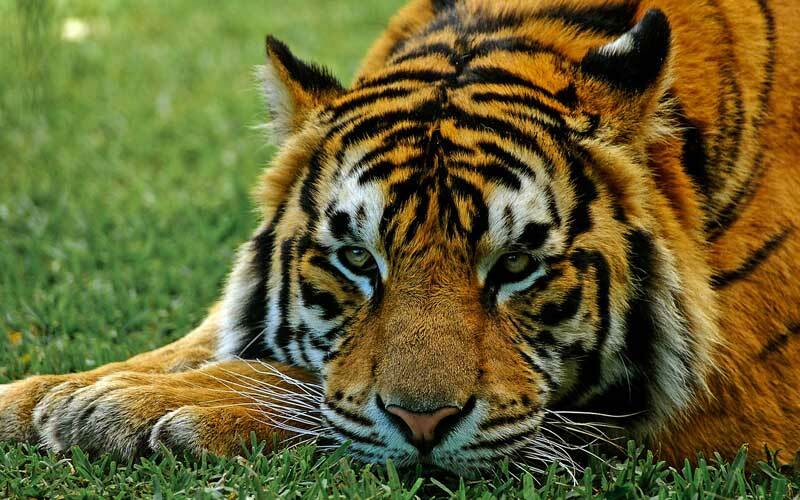 In 2009 IUCN estimated a total of 3,200 tigers, but some believe that the number has risen to almost 4,000 adults. In fact, WWF declared that 2016 was the first year that the population of tigers did not decrease in more than a century. However, the numbers of some subspecies are still decreasing. Today, vast areas of Southeast Asia are devoid of these cats, and in some regions, the lack of tigers may be irreversible. It is the principal threat to tigers in the wild. Many parts of their body, particularly bones, skin, and meat, are coveted on the market to prepare various products useful in traditional Asian medicine, which have no proven efficacy. The impact of poaching is bigger than it seems. It is not only a dead specimen but sometimes mothers with offspring that still need maternal care. 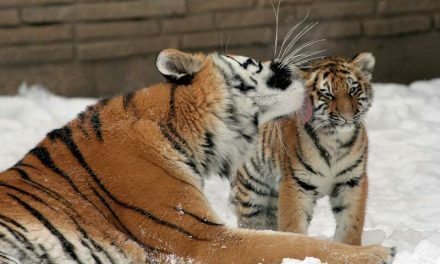 A killed mother leaves cubs vulnerable to predators and without food. In India alone, about 50 percent of tigers’ deaths in protected areas are due to poaching. Although poaching has declined, and hunting, in general, is bad seen in the western world, in many areas it is still common. It is a problem that requires intense and organized efforts, and sometimes there are not enough resources. It is caused by the transformation of forests into arable land, commercial logging, and human settlements, with all the infrastructure that the latter implies. The habitat is also fragmented, that is, divided for the same reasons. The growth of human populations affects not only Tigers but many other animals as it involves new buildings in forest areas. Tigers require a sufficient amount of hoofed animals to survive, as they are their primary food. However, this fauna dies due to hunting or habitat loss which reduces the food sources of tigers. In total, Tigers have lost about 93 percent of their original range, and deforestation continues at a rate of 47,000 square kilometers per year, which entails an enormous danger for many species. These conflicts occur when human populations settle in areas where tigers dwell. Sometimes, these cats are hungry, weak or sick and attack domestic livestock, so people kill the felid that attacked their animals. In some regions, there have been cases of attacks on humans, and this increases the prejudice towards these cats. In short, Tigers have had to compete for space and food with growing populations of humans and domestic animals. Some tiger subspecies inhabit areas of ​​mangroves between India and Bangladesh. These individuals have been adversely affected by growing sea levels, which is a consequence of climate change. If sea level continues to rise, it would wipe out this particular habitat and affect the tiger population there. The global population of tigers is only around four thousand individuals, and all face a dark future. One subspecies only exists in captivity and is functionally extinct. The protection is urgent, and it needs the support of everyone. Humans continue to destroy the habitat that Tigers once called home for their needs. It isn’t always easy for Tigers to find a new home. Even if they can quickly adapt to a new environment, the fact that they are so territorial is a concern. Many Tigers end up killing each other for the right to a given area because they aren’t going to be able to live there together. It is important to understand the vital role that the tiger plays in the ecosystem as they are one of the predators found at the top of the food chain. Without them, it can lead to overpopulation of some types of animals. 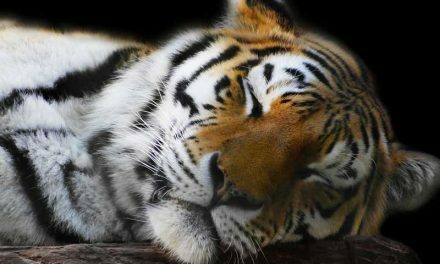 Right now it is estimated that the total population is only about 7,500-10,000 tigers in the wild and captivity. That is a very low population so aggressive efforts must continue to protect their environment, continue good genetic breeding, and to allow these animals to survive.